Commissioned for the European Film Festival, Berlinale. A tower with advertising space and large LED screens. Numerous smaller LED screens, mounted on a 3 container high tower, form a visible, vivid surface. During the day and at night, besides general information about the festival, the tower also presented film previews. On the ground floor, there was an additional information stand / meeting room to enable personal client contacts. 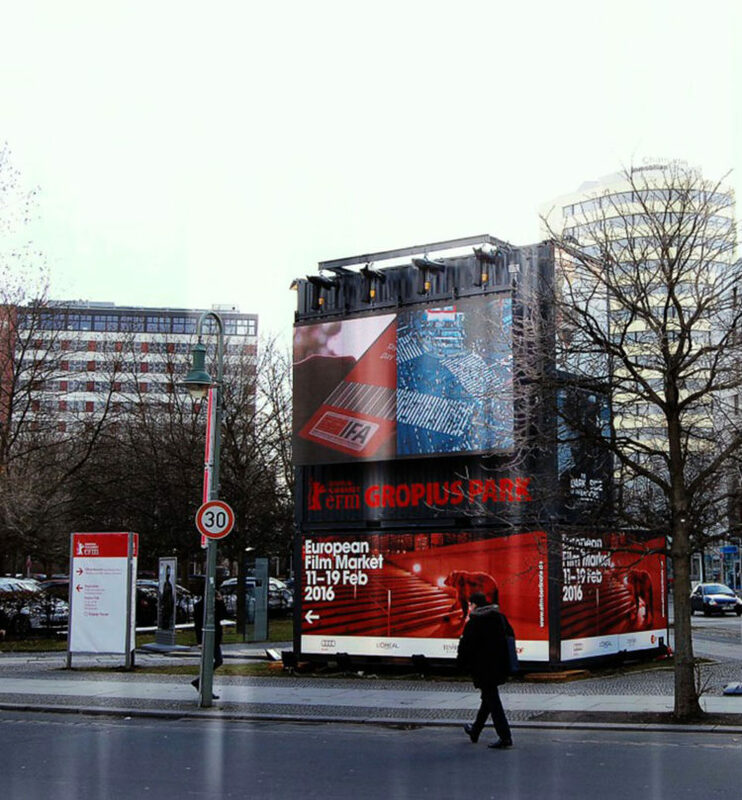 The tower was erected in Berlin’s city center, near Martin Gropius Bau and was an important advertising medium for the festival.